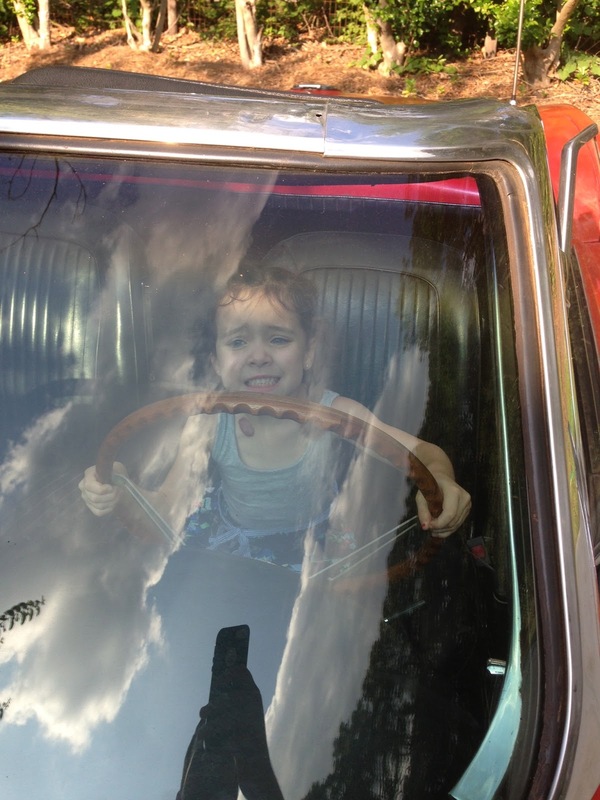 For my entire life, my dad has always had old cars. Sometimes he would literally just buy a frame and body and build the entire car himself, and sometimes he would buy one and fix it up. Regardless, there were always really old and really cool cars around my house (all my friends in highschool LOVED it). Recently, my dad bought a corvette as his new "project". 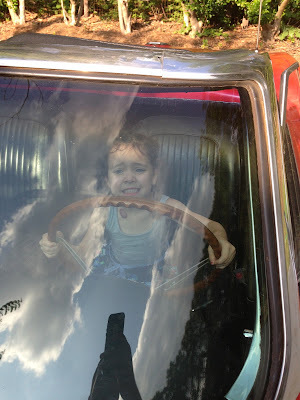 We went over there one day, and LL couldn't resist "driving" Opa's cool car!